Listen to this track by former pop synthesists turned minimalist orchestral art rock concern Talk Talk. It’s “Ascension Day”, the second track from the band’s last (to date, although I wouldn’t hold your breath, kids) album Laughing Stock released in the autumn of 1991. The record was the final gasp from a band who were on a unique artistic parabola thanks to their critically acclaimed (well, eventually) but not-well-purchased 1988 masterpiece Spirit Of Eden. That album was a work that was a dramatic departure from their pop music origins, led by singer Mark Hollis and collaborator Tim Friese-Green. Since its creation and in the aftermath of its release, they lost bass player Paul Webb and their contract with EMI with whom they were in some conflict over the “not well purchased” point regarding said masterppiece. So after pursuing their art and following the muse against the slings and arrows of outrageous record companies, you’d think they would make a more mainstream-friendly record to reset the balance, right? Well, no. But, what they did do is create yet another masterpiece, well represented by this track. But, it was a harrowing ride.Talk Talk ended up on the Verve label for this one, known primarily as a jazz label, although by then an imprint of parent label Polydor. But, this put zero pressure on lead Talk Talkee Mark Hollis stylistically speaking. As with its predecessor, Laughing Stock touches on jazz, yes, but also on neo-classical, ambient, and yes even a very Traffic-influenced rock music in places. “Ascension Day” is a microcosm of the whole, with angry guitar, warm acoustic bass, moaning organ, jazz drumming from remaining original member Lee Harris, quasi-religious lyrical shards, and fragmented orchestral lines that make it a unique statement, and the reason why it was so difficult to sell this record in 1991. Yet, I don’t think this is the work of someone who doesn’t understand how to make appealing music. For one thing, let’s talk about Mark Hollis’ voice, which on this track is at its most soulful, which is saying a lot. It’s because the sonic environment around that soulful voice is not familiar that makes it so potent. Audiences would learn this lesson in a few years after this song, and Laughing Stock failed to reproduce the pop chart dividends of their mid-1980s mainstream peak. They would lay down a template for where rock and pop groups could go, of course. But, nineteen-ninety one was a bit early for the doors to be opened very wide in the years before the words “post” and “rock” were smashed together by the press. Mark Hollis; a man with some very distinct ideas on how to make a record. In the meantime, the key driver with the creation of this track and the rest of the record was the idea of spontaneity and improvisation around basic chord progressions and no detailed arrangements. That’s a standard approach with four jazz guys on the floor with Teo Macero in the booth. But, in this particular case, it was apparently more like fifty musicians wondering what they were going to play that day in a room of blacked out windows and oil projections on the wall to set the mood. Another part of the equation was the editing and overdubbing process, taking all of those improvised parts and weaving them into a glorious whole. And it took some time to do it; about a year in fact. Hollis spent hours and hours widdling the whole thing down, with the idea that for every one-hundred notes played, only ten of them (or less!) really hold the magic enough to make the final cut. The results bear that out, with not too many records sounding like this one this early on. For that reason, it gathered critical praise for years after it was made, and becoming a touchstone for other minimalist and angular art rock outfits in the same way as its predecessor is. About a decade later, a quick shift in direction and a challenging release would be less of a problem for all concerned. But, it was a hard road to go down at the time, with some hailing the whole process as one man defending his right to create in the way he needed to create, with others pointing out that the fuel for that process would not have been available without the label taking all the risk. This track to me is an achievement on all kinds of levels, nested in an album which is the same. It mixes everything that Hollis is good at, and still manages to have a life of its own outside of the circumstances in which it was made. 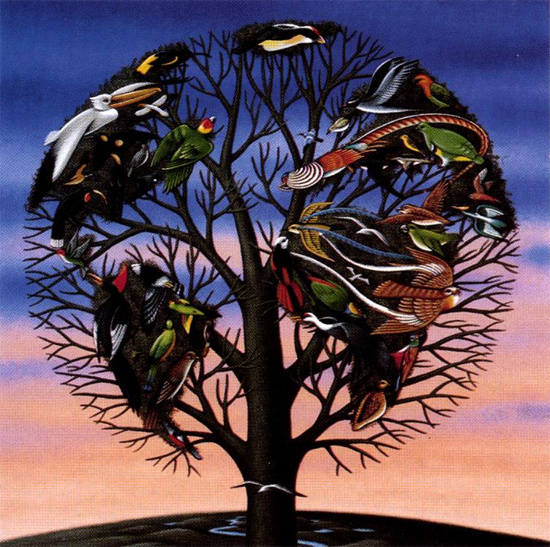 For more about Laughing Stock and about the storied history of Talk Talk and their dance with EMI and Polydor, read this article about it twenty years after its release. How many other bands – in any era – charted such a determined trajectory from pop to obscurity in such a mesmerising and beautiful way? I commend both your Hollis and other Talk Talk pieces (see the links above) to Delete Bin fans seeking beauty and strangeness in hypnotic abundance. Another band I can think of who share some of the same characteristics are the Blue Nile, especially the first two albums. Can I plug my piece on their debut?